County Hall is spending more than £28m a year on outside agency placements for the county’s “looked after children”. The rising bill for residential places for these youngsters soared by nearly £8m in 2016/17. Meanwhile in 2017/18 an extra £23m has been earmarked for children’s social care, with £16m for agency residential and £5m for agency fostering costs. There are now 1,923 looked after children in Lancashire and the county’s cabinet has approved a new strategy which aims to reduce the number to 1,646 over the next three years and cut those in residential care to 136. In March 2016 Lancashire County Council had, at 1,665, the highest number of looked after children in the north west. Numbers rose by 26 per cent between 2012-16. 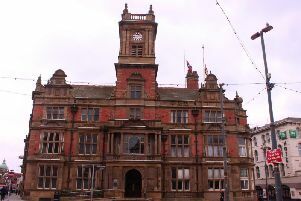 Liberal Democrat Coun David Whipp said the county is also above both the national rate and that of similar councils and asked the cabinet why. Council leader County Coun Geoff Driver said: “It’s an issue we are looking at and taking very seriously. New targets include the council providing 40 per cent of placements in residential care. Annual savings of £3.7m from 2019 are predicted if a range of initiatives can be achieved, it said.